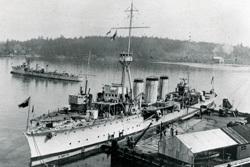 HMCS Aurora (foreground) with either HMCS Patrician or HMCS Patriot at Esquimalt, B.C., in 1921. One of the earliest objections to the establishment of a Canadian navy was the fear that it would involve Canada in situations far removed from its immediate maritime concerns of sovereignty and fisheries protection. These were not unreasonable fears. The naval establishment on the west coast was heavily involved in protecting British interests in Mexico in August 1914 when World War I started. In most cases, the mere presence of a warship with the potential to intervene ashore was enough to resolve the situation. This is exactly what happened in 1921 when the Canadian government dispatched virtually the entire fleet–Aurora, Patriot and Patrician–to Costa Rica to help the Royal Bank of Canada settle a spat over oil concessions. In fact, the Costa Rican incident, about which virtually nothing is known, may be the only instance in which the Canadian government strong-armed a foreign state with its own naval power. However, the El Salvador episode of 1932 remains unique in being the only time when heavily armed Canadian matelots came ashore and actually occupied a tiny portion of someone else’s country. Apart from some investment in power generation, Canada had no direct interest in El Salvador in 1932. The tiny, Central American nation’s greatest export was coffee, from Anglo-American-owned plantations carried along Anglo-American-owned railways. Following nearly half a century of stability and economic development, El Salvador descended into chaos in 1931 when it tried to take a final step towards democracy. When President Pio Romero Bosque declined to fix the election of his successor–as was the custom–and no candidate won a clear majority, El Salvador’s congress named Miguel Angel Araujo president. However, when Araujo proved incapable of delivering on economic reforms, El Salvador’s peasants revolted in July. The continued unrest led to a coup by the army on Dec. 2, which placed General Maximiliano Hernandez Martinez in charge. The former vice-president and new president consolidated his power through a ruthless policy of mass executions of his opponents. As El Salvador slipped into anarchy in early 1932, Britain and the United States, which had bankrolled the nation’s economy, grew anxious about their investments and their people on the ground. The quickest way to get Martinez’s attention was to send in the navy. It just so happened that as the “communist insurrection” against Martinez’s junta captured international attention, the west coast squadron of the Canadian navy was in the offing. Canadian warships Skeena and Vancouver had departed Esquimalt on Jan. 5, 1932, en route to the Caribbean via the Panama Canal to participate in the annual Royal Navy exercises. On Jan. 19 they cleared Manzanillo, Mexico, and set course for Balboa, Panama. The decision to intervene in El Salvador on behalf of British interests in early 1932, ironically, came hard on the heels of the Statute of Westminster, the document which fully established Canada (and other British dominions) as independent nation-states in December 1931. Legally, the Canadian government was not obliged to act. But the Statute of Westminster merely reflected a fact of constitutional evolution not an abrupt shift: Canada was still a “British” nation. Moreover, as Serge Durflinger, who has written the most on the El Salvador episode, observed, the RCN remained deeply embedded in the imperial fleet. 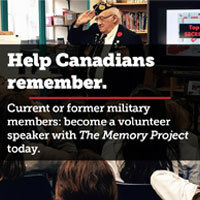 None of the regulations governing the RCN had been amended to reflect Canada’s new status, nor would they be until WW II. The Naval Service Act of 1910 still permitted the government to place the fleet at the disposal of His Majesty, while the RCN still operated under The King’s Regulations and Admiralty Instructions and The Naval Discipline Act (Dominion Forces) of 1911. Despite these powerful links, the Canadian government could have demurred. It did not. O.D. Skelton, the under-secretary of state for External Affairs, supported the dispatch of the little Canadian flotilla. Indeed, he and Hose authorized intervention without even consulting the prime minister. As it turned out, the Canadian government was well aware of events in El Salvador, having been kept apprised of the situation by the British Foreign Office. Indeed, the government was entirely comfortable with the action. When news of the Canadian presence in El Salvador broke in early February and questions were raised in the Canadian House of Commons, the Defence minister, D.M. Sutherland, replied simply that the ships “were practically passing this place Acajutla when disturbances broke out” and put in to protect British subjects should it become necessary. It seemed the prudent thing to do. Brodeur was, of course, only dimly aware of the situation as Skeena and Vancouver steamed towards the railway terminus and coffee port of Acajutla at the northern end of El Salvador. During the night, the gunner’s mate of Skeena had roused his number one platoon and opened the small arms locker in preparation for putting men ashore. The gunner’s mate on Vancouver did the same. On the morning of Jan. 23, the two destroyers cast their anchors in the open roadstead. Both warships were kept at 30 minutes notice for steam, while the 80 men of the two platoons, plus two Lewis machine-gun sections aboard Skeena, waited anxiously in the tropical sun. Brodeur’s first act was to send his executive officer, Lieutenant Frank Houghton, and two armed ratings ashore to meet with H.B. Towning, the British vice-consul, and with the Salvadorean port commandant. Towning assured Houghton there was no local unrest, but as a precaution five wives of local British railway officials were brought aboard Skeena. In the meantime, the British consul in the capital San Salvador, David Rodgers, was reached by phone and he wanted some show of force by the newly arrived “British” warships. Thus began what one person has described as the British attempt “to run with the hares and bark with the hounds” in El Salvador. Towning advised caution, Rodgers wanted the landing parties put ashore. Brodeur refused Rodgers request, and informed Hose later in the day that the situation seemed to be under control but that he would remain at Acajutla for the time being. To facilitate communications, Brodeur ordered one signalman ashore. Later that day, Brodeur also sent Vancouver to the southern port of La Union to show the flag and ease local concerns. Just how the arrival of the Canadian vessels was received by Martinez’s junta is unclear, but the “British” presence in Central America apparently caused a great stir in American circles. As Brodeur reported later, American authorities were “more than surprised and a little disappointed to see a British flag first.” According to Serge Durflinger, the next day (the 24th) the U.S. chargé d’affaires in San Salvador, William McCafferty, reversed his earlier assessment of the insurrection and suddenly “appealed to Washington to dispatch ships to El Salvador.” A cruiser and two destroyers were sent immediately from Panama with orders to co-operate with the RCN. Everyone assumed that when the Americans arrived they would take charge of any direct action in protecting foreign interests ashore. The sense of panic that prompted McCafferty to appeal for U.S. intervention on the 24th was conveyed to Brodeur by Rodgers that day as well. As Durflinger concluded, “Rodgers insisted that Brodeur travel to San Salvador to judge the situation for himself. The British consul seemed unreasonably gripped by fear.” Brodeur agreed to go, and thus began the brief and rather comic opera of the Canadian invasion of El Salvador–in three acts. The first act was the assembly of a small party for the trip to the capital, 100 kilometres away by rail. Brodeur, Houghton and Skeena’s gunner’s mate, Petty Officer Ted Priske, climbed aboard an automobile driven along a rail line by a British railway official. The two officers carried side arms. Priske carried a rolled hammock containing a Lewis machine-gun and several drums of ammunition. Brodeur’s little party was only an hour down the road when Rodgers signalled Acajutla, demanding that Skeena land her troops and send them on to the capital. Vancouver received the same request. While Lieutenant-Commander C.F. Hart at La Union waited to hear from Brodeur, Skeena’s senior officer, Lieut. Horatio Nelson Lay, agreed to land his platoon but only in Acajutla. While all this was in train, Brodeur called, authorized the landing in Acajutla and ordered Hart to hold fast. Thirty minutes later, Canada’s assault on El Salvador began. The order to land the platoon sent Skeena into a flurry of activity. As Able Seaman G.H. Barrick later told Durflinger, “The quartermaster was running around and piping ‘Away all boats! Number One Platoon fall in with all equipment. '” And so they did. “(G)aiters, rifles, ammunition, bayonets and web equipment,” two machine-guns, three officers, the ship’s doctor and 41 of the toughest sailors in the Canadian navy were soon on their way. The landing party clambered up on the wharf and, once everything was in order, they headed towards the beach only to be stopped by Salvadorean resistance. “As we neared the land end of the jetty,” Gordon Summers later recalled, “a lone Salvadorean officer held up his hand. We about-turned and (went) back to our boats.” It was, in many ways, a quintessential Canadian moment. Perhaps never in the history of human conflict has such a heavily armed invasion force been sent packing by the simple wave of a hand. However, what probably had a greater impact on the retreat was the receipt of yet another signal from Rodgers (apparently while the force was still on the wharf) ordering that no landing was to take place until instructed. That was the end of act two. Brodeur learned of the landing when he arrived in San Salvador, and immediately ordered Adams to stay put while he met with Martinez. Once the Salvadorean dictator assured Brodeur that British interests would be guarded and that the rebellion was largely broken, Brodeur ordered the landing party back to Skeena and the whole affair ended. The next day, Jan. 25, 1932, Haggard sent orders from Bermuda not to land unless instructed to do so by the El Salvador government. By midday, Brodeur, Houghton and Priske were back on board. Hose was informed later that day that the situation was well in hand. Lingering anxiety about the possibility of further peasant uprisings kept the ships in local waters even after American ships arrived on the 27th. It was not until the 31st that they departed for Balboa, Panama. While the ships waited there for their passage through the canal, Ottawa cancelled their 1932 exercises and ordered them back to Esquimalt, probably to save the canal fees. It is possible that my Great Uncle A.B. 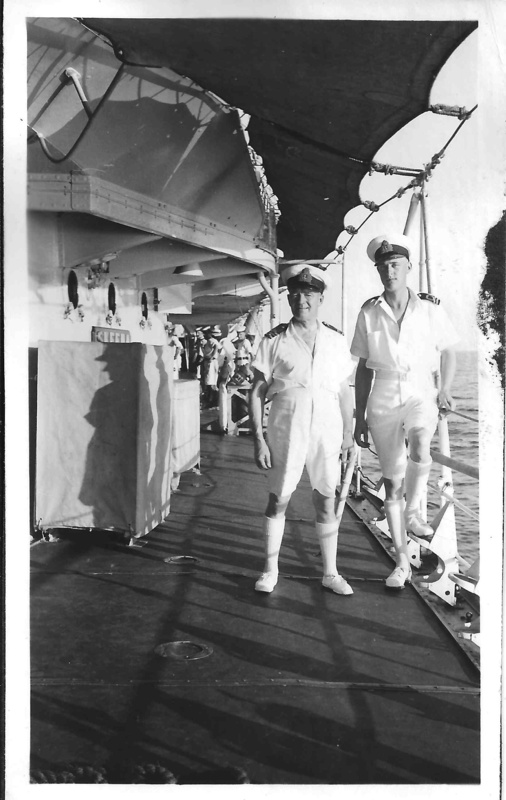 Macleod, seen here on the left aboard the HMCS Skeena, was part of this “invasion”? Macleod was part of RN WW1 and RCVR until retirement in 1939. I’ve no other pictures of him in white shorts and the timing is possible. It would make a great story in our family history journal!